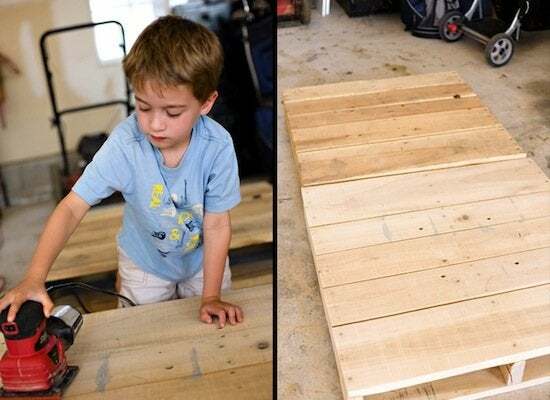 See how one blogger, in only a few simple steps, turned unassuming scrap wood into a handsome DIY pallet bed that demands attention. Ah, the humble pallet. You often see them on roadside curbs or lying by dumpsters in back alleys. And while they tempt many a DIYer to salvage and repurpose them, your first impulse might not be to lay your head there. 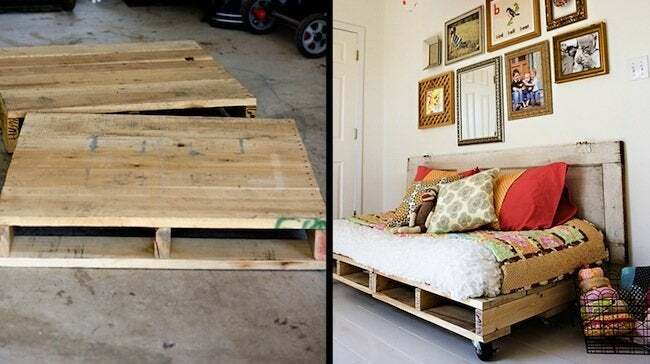 Fortunately for Ashley Ann, though, she’s lucky enough to have a friend who works at a packing company and was willing to make these pallets from sturdy, untreated boards. 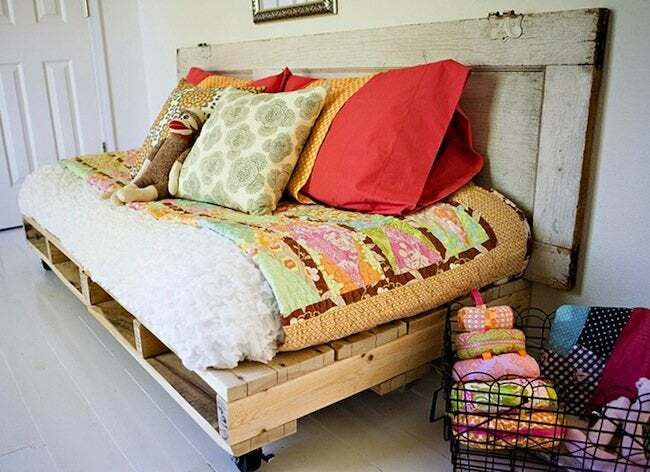 And once she had the pallets, a DIY day bed for the nursery was only a few simple steps away. Here’s how she created this fantastic project. Sand the pallets good and smooth. Bolt the two together on the tops and bottoms. Add caster wheels to all 4 corners and one in the very center (for extra strength). The wheels on mine are locked, except for the center one. I used an old door to sit behind it – just because I liked how it looked. Simple enough. Thanks, Ashley Ann! To read more of her incredible DIYs or to check out her photography, visit Ashley Ann Photography.